Governor Ram Naik, deputy chief ministers Keshav Maurya and Dinesh Sharma, a number of UP ministers and senior BJP leaders also attended the dinner. 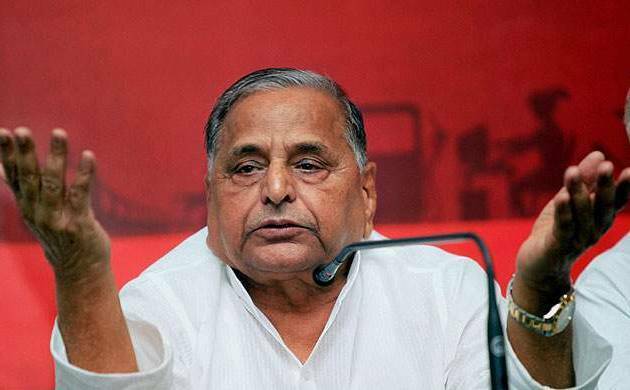 After giving indications of supporting the NDA’s presidential candidate, SP patriarch Mulayam Singh Yadav on Tuesday attended a dinner hosted by Uttar Pradesh chief Minister Yogi Adityanath for Prime Minister Narendra Modi. Mulayam was among the first to reach the CM’s official 5, Kalidas Marg residence. However, SP president and former chief minister Akhilesh Yadav did not attend it. “No, he (Akhilesh) will not be attending the dinner,” SP spokesperson Rajendra Chaudhary told PTI when asked whether the party president would be at the table with Modi. BSP supremo Mayawati too skipped it. The BSP chief had yesterday said that her party is positive about the NDA nominating Ram Nath Kovind for the presidential election but wished that the ruling alliance had named a non-political Dalit candidate for the top post. “Although Kovind has been associated with the RSS and the BJP from the beginning but as he is a Dalit, our party’s stand towards him cannot be negative. It will be positive, provided Opposition parties do not field any Dalit for the post, who is more capable and popular than him,” she had said. Earlier in the day, Mulayam, who is the SP patron, extended his support to the NDA presidential nominee Ram Nath Kovind, saying he is a deserving candidate. “Ram Nath Kovind is a good candidate. I have a very old relation with him. BJP has selected a strong candidate. The most important thing is that the BJP has a majority. Can’t say what will opposition decide now,” he told a TV news channel. Mulayam had earlier indicated that he would back the NDA candidate even before the announcement of Kovind’s name for the top constitutional post. Nominations for the Presidential elections, to be held on July 17, ends on June 28. The BJP had Monday stumped the opposition parties by announcing the name of Kovind, a Kori (Dalit) from Uttar Pradesh. The prime minister arrived here this evening on a two-day visit to take part in the International Yoga Day event tomorrow morning after which he will fly back to Delhi. On the first day of his visit, he inaugurated the new building of Abdul Kalam Technical University (AKTU) and visited the Central Drug Research Institute (CDRI) here. He will spend the night at Raj Bhawan.